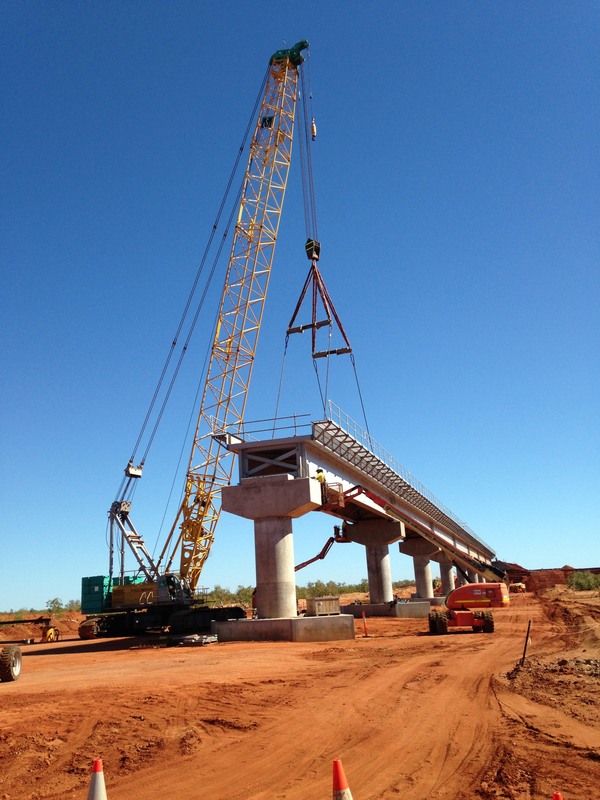 Samsung C&T engaged Centrals to construct the eleven bridges associated with Package 2 of the Roy Hill Iron Ore Project. 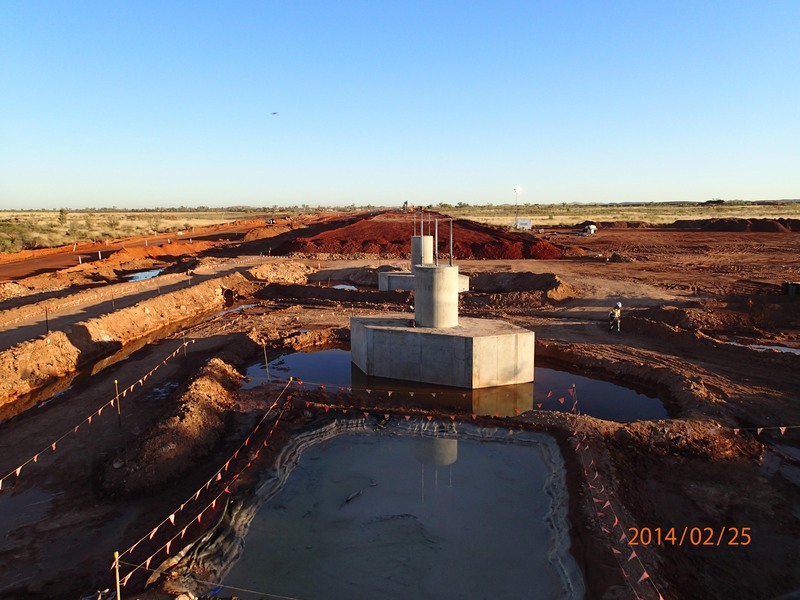 Construction of the bridges includes installation of sub structure, super structure, general earthworks and embankments between the Roy Hill Mine and Port Hedland. 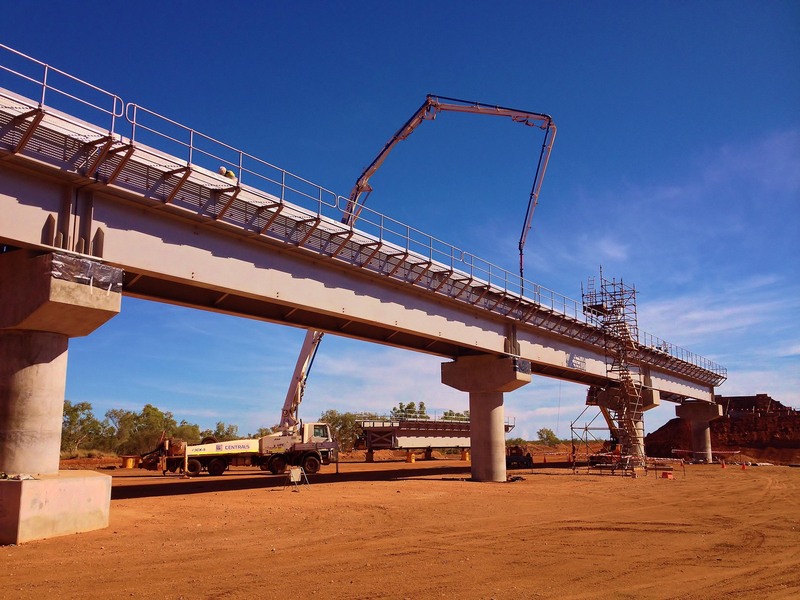 The eleven rail bridges span three varying elements; with eight bridges crossing creeks, two bridges crossing operational rail lines and one bridge crossing and existing operation haul road. Civil and Piling – Installation of bored piled foundations and passive rock anchors including driving of pile casing, pile internal boring, reinforcement and concrete placement, pile head treatment and associated acceptance testing. Construction of pile caps, piers, abutment walls, wing walls, deflection walls, approach slabs, drag slabs and onsite pre casting of headstocks. All formwork, scaffolding and temporary support works, and placement of false work reinforcement and concrete for composite concrete deck slabs. QA/QC acceptance testing for pilling, concrete, grout, welding and soil compaction. 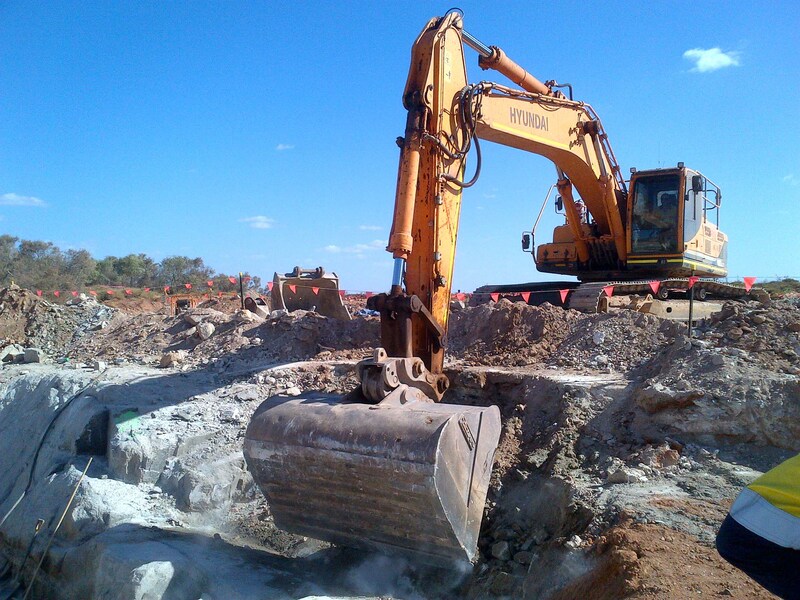 Earthworks – Temporary works consisting of design and construction of causeways, drill pads and crane pads. Winning of suitable material from designated borrow areas, loading, hauling within 3km radius, placing, spreading, levelling and compacting. Placement of cement stabilised backfill. 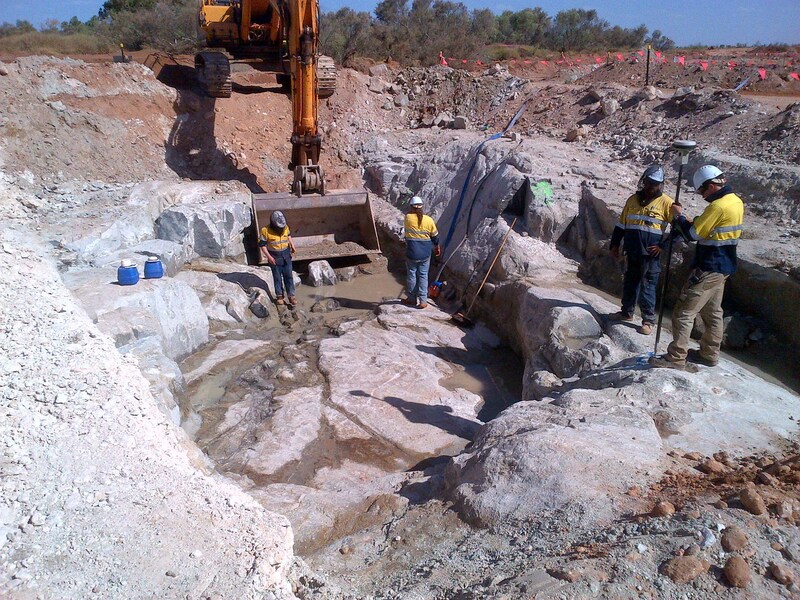 Formation of guide banks, placement of geotextile and rock protection. Detailed excavation to reduced levels, lines and grades including compaction as necessary for the construction of reinforced concrete footings, foundations, pile caps, slabs and other concrete structures. 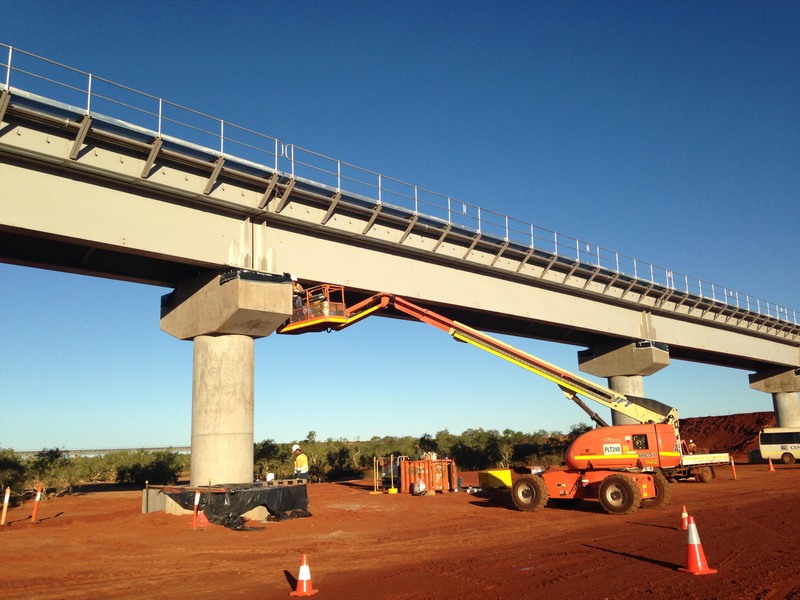 Structural Works – Installation of hand railing, grid mesh and service conduit to prefabricated modular bridge sections. Lifting and final placement of completed modular bridge sections. Installation of abutment access stairways and viewing platform structures. Other Works – Development and implementation of Rail Safety Management Plan, full suite of Project Specific Management Plans including Safety, Quality, Construction and Project Execution. Full time survey support including post construction as-build drawings and reports.